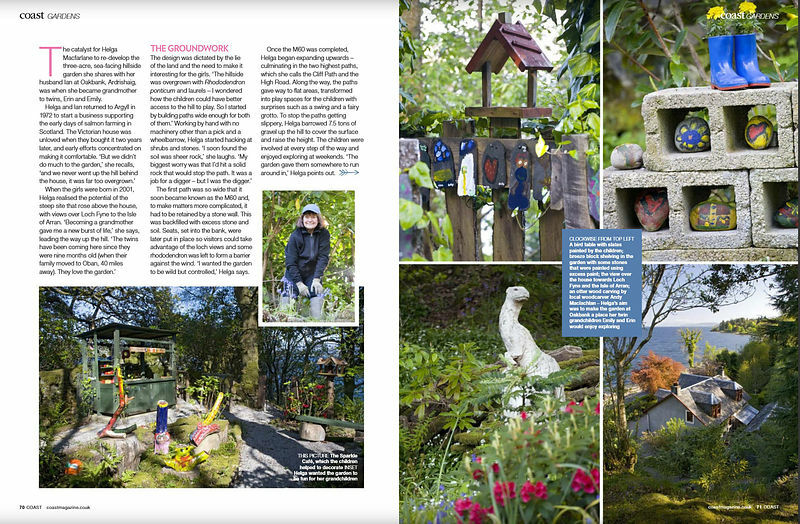 Our spread in Coast magazine of child-friendly garden Oakbank in Argyll, Scotland. 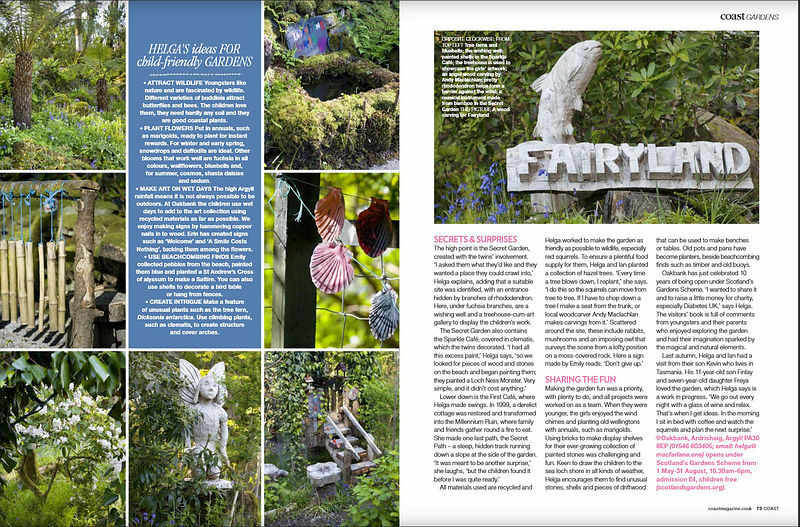 The amazing feat of one grandmother (with some artistic input from her lucky granchildren!) 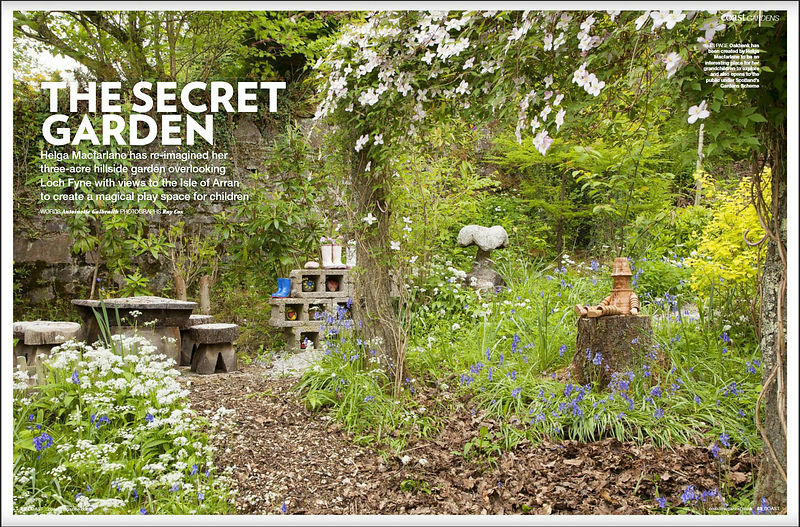 Opens under Scotland's Gardens until end of August.